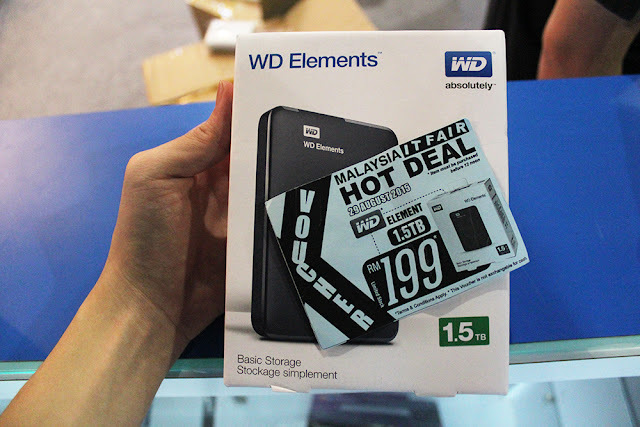 Do you know you could kill two birds with one stone at this year Malaysia IT Fair? 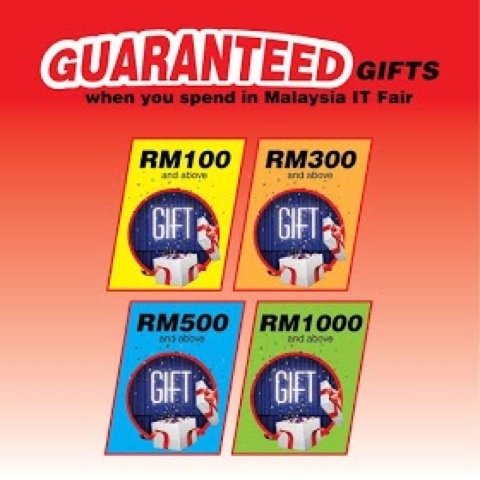 Beside grabbing crazy good deals, you will get to attend seminars organised by the Malaysia IT Fair for FREE. 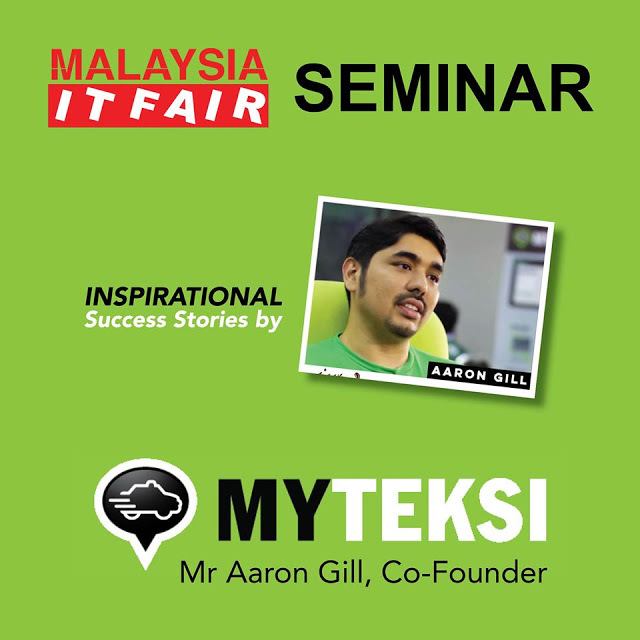 I am looking forward to attend seminar by MyTeksi co-founder Mr Aaron Gill. With MyTeksi, booking a taxi is made easy and hassle free. They also won 2nd spot in the annual Harvard Business School business plan competition. Such an inspiration, right? 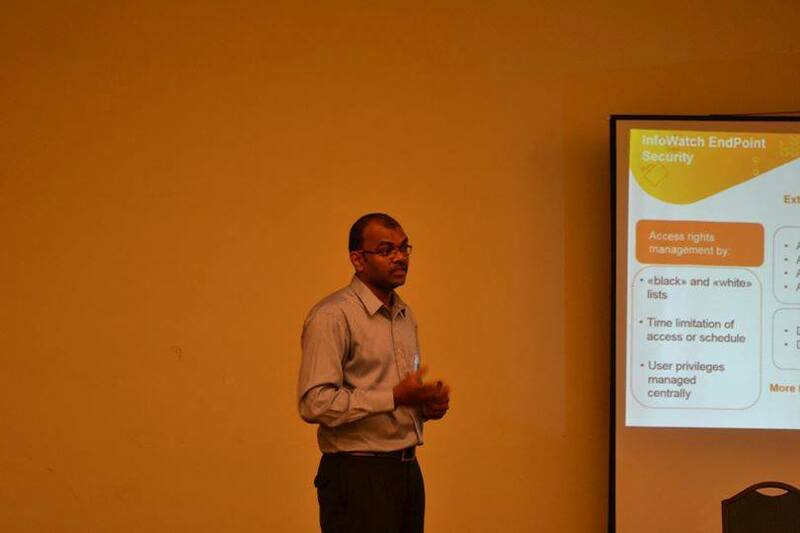 Beside Mr Aaron Gill, there are other speakers who will be sharing their success stories as well, covering GST, Cloud Computing, Systems and many more. Hurry! Register for your seat now here. Some of the deals not to be missed! It's back! The much anticipated Techbiz @ Malaysia IT Fair happening from now till 31st August 2015 held in Midvalley Exhibition Centre. 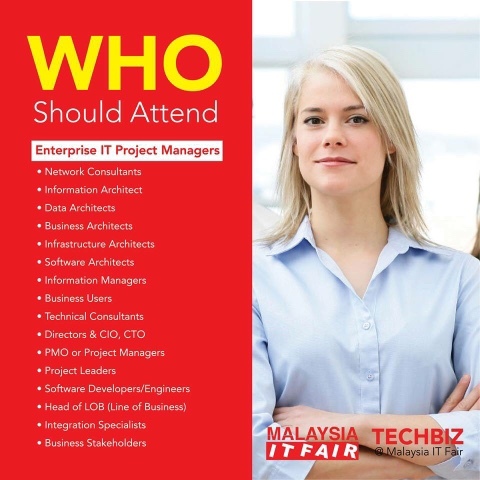 Techbiz @ MITF is the first ever large scale business-to-business event to be held in Malaysia which comprises of business platform, seminar and exhibitions. 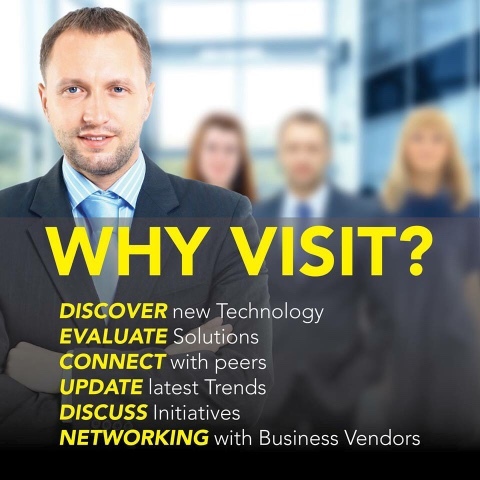 The fair occupies over 60,000 square feet of exhibition space, has over 80 global brands showcasing business products, solutions and services. 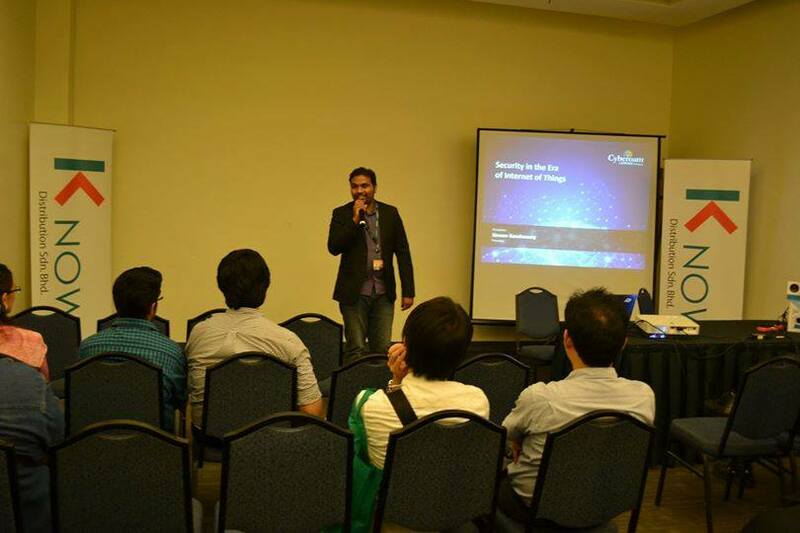 On top of that, it also provide free essential trending IT seminars covering network security, virtualization, SME topics to public. 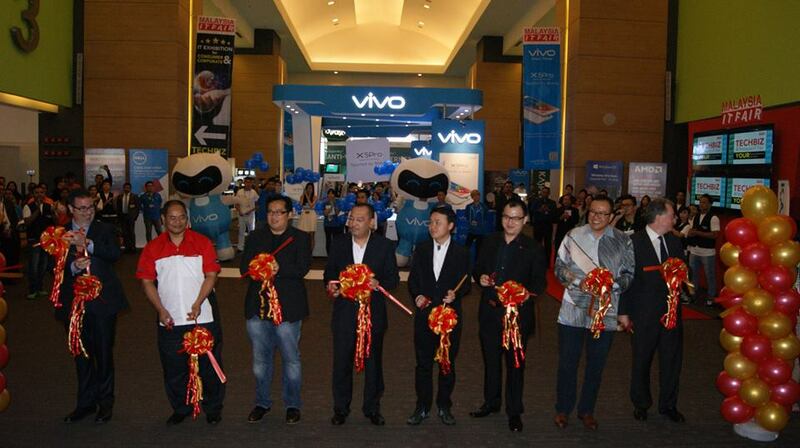 Yang Berhormat Dato’ Jailani Bin Johari, the Deputy Minister of Communications and Multimedia Malaysia officiated the opening of Techbiz@MITF. MAMPU also uses Techbiz as their platform to educate, evaluate all the latest technologies and solutions for the Malaysia government and business communities and general public. Welcome spech by Ms June Lee, General Manager of Malaysia IT Fair. 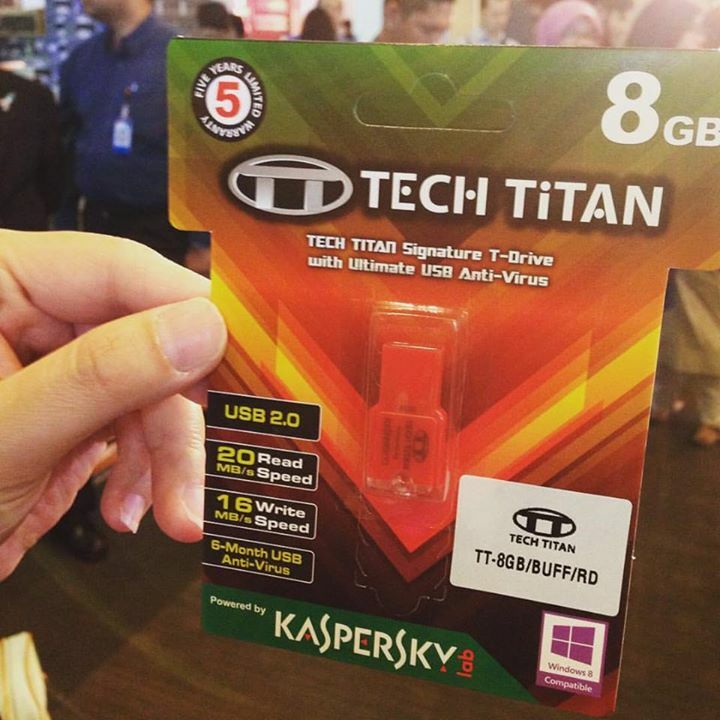 Happy hour deal - RM1 for Tech Titan 8GB pendrive. 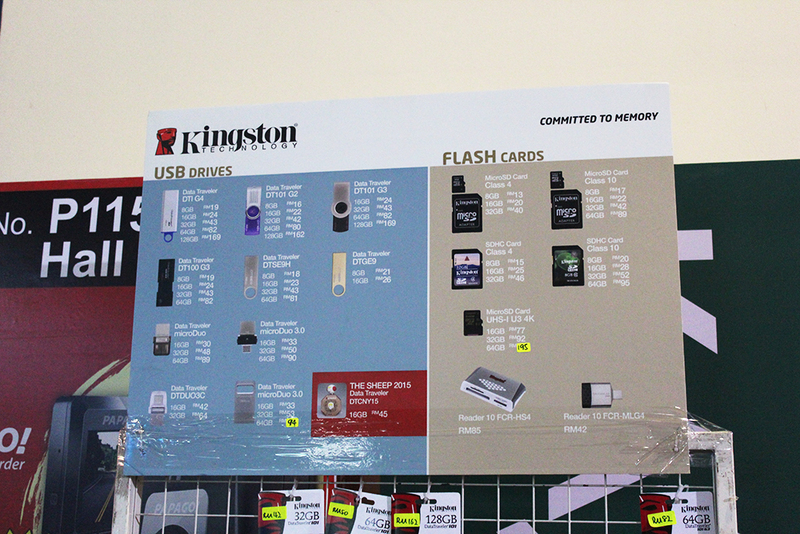 Amazing offer for USB drives & Flash cards too. 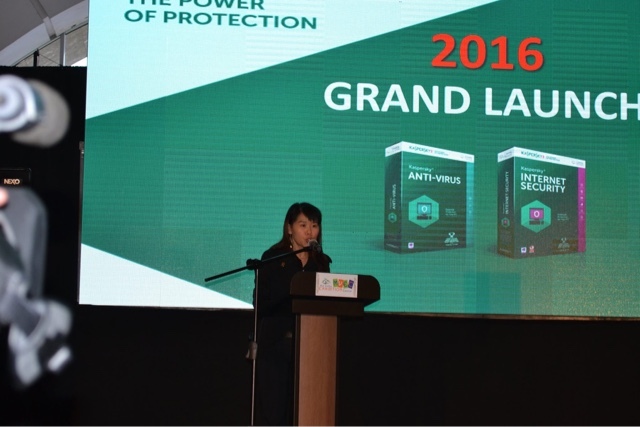 Kaspersky Internet Security 2016 was launched by the Deputy Minister of Communications and Multimedia, Datum Jailani Johari and Kaspersky Lab, SEA, Channel Sales Director, Mr Jimmy Fong. Kaspersky Internet Security delivers premium protection for you, your PC, your money and your family. Advanced security technologies protect against viruses & web-based threats, while safeguarding your identity and adding extra layers of security when you’re doing online banking or shopping. On the 15th day of the eighth month on the lunar calendar is the Mid-Autumn festival. 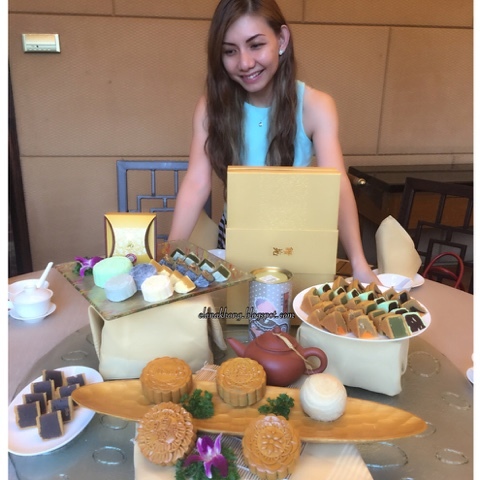 Let's celebrate this special occasion with family and friends, savouring mooncake while admiring the moon. Dim sum Chef of One World Hotel, Jordan Chin once again presents an assortment of exquisite creations which comprise both traditional and innovative flavours. Rich in culture and heritage, texture and taste, the pastry is baked to perfection for total indulgence! 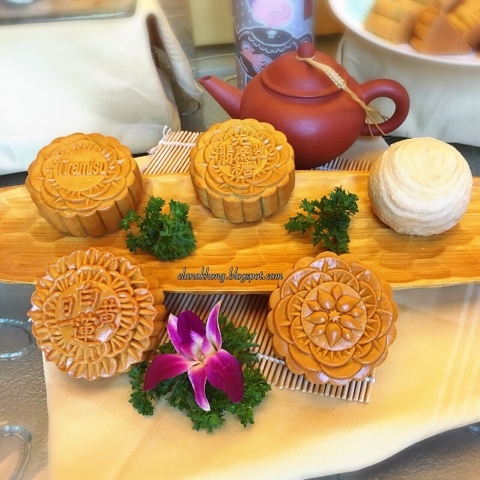 There are nine types of baked mooncakes and eight types of handcrafted snow skin moooncakes available. One of my favourite picks will be the brilliant Deep Fried Teo Chew Yam Paste with Single Yolk. Also available are White Lotus and Black Sesame Paste with Single Yolk, Supreme Mixed Nuts or Tiramisu and Walnut just to name a few. 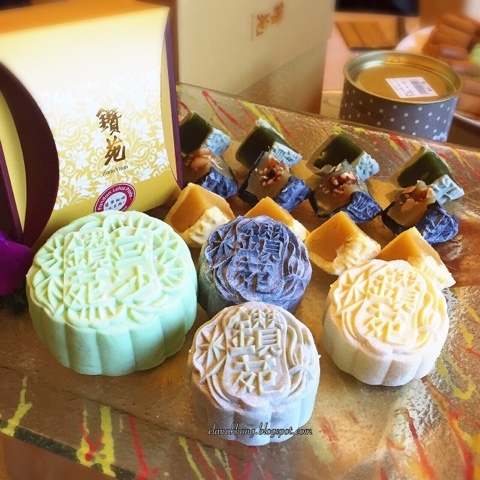 As for the snow skin mooncake, you could opt for the Red Bean Paste with Pumpkin Seed, Durian Lotus Paste or Green Tea Lotus Paste. For the health-conscious, check out the sugar cane free selections such as the mouth-watering Pandan Lotus Paste and White Lotus Paste with Mixed Nuts. 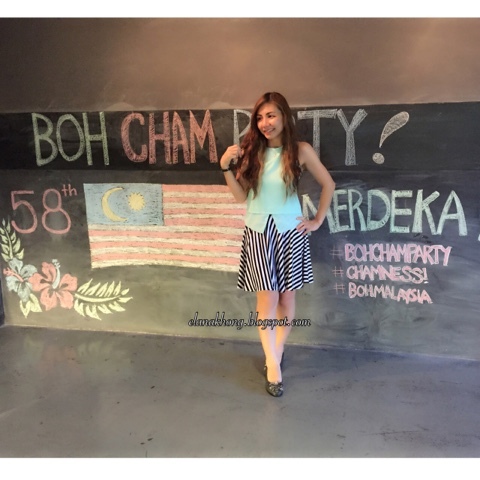 In conjunction of the nation 58th Merdeka, BOH commemorated true Malaysian fashion with a special "BOH CHAM PARTY' celebrating the diversity and richness of our Malaysian culture and heritage. 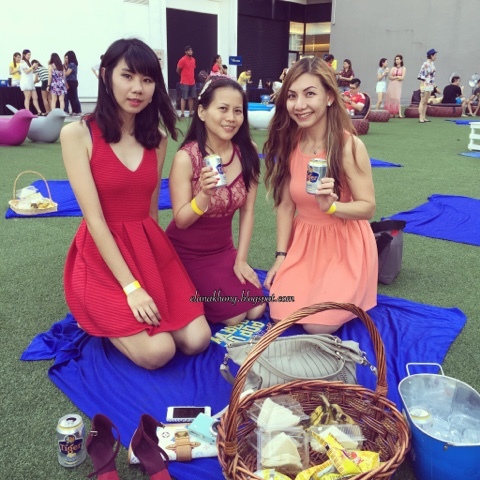 The party showcased how the infusion of language, food, beverage, clothing and even marriages among Malaysia's diverse society has been embraced to present a truly unique and distinctly Malaysian identity. You know at times when you are torn between coffee or tea? Good news! Now, you could CHAM. 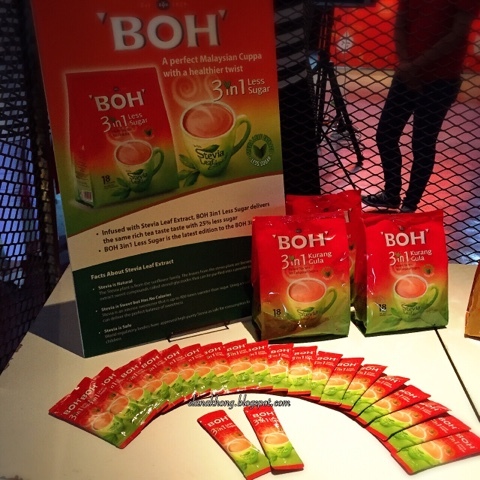 BOH has just released its latest tea beverages, the BOH CHAM and the BOH 3in1 Less Sugar uses Stevia Leaf extract for an excellent taste with 25% less sugar. 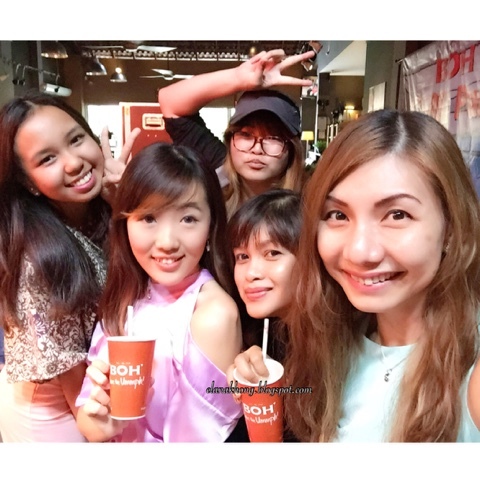 We really enjoyed BOH CHAM milky and mellow flavour of coffee. One more cup, please! 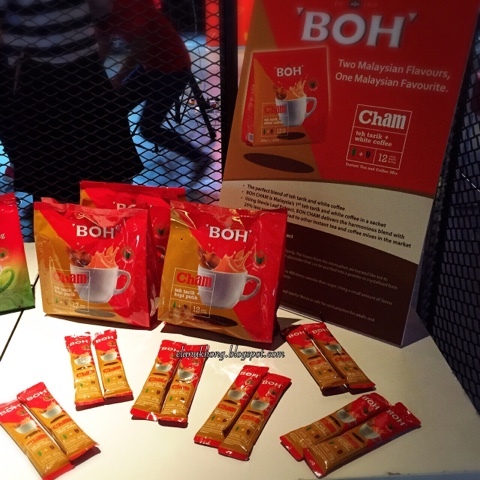 BOH CHAM is a combination of Teh Tarik and White Coffee, formulated with Stevia Leaf extract an authentic Malaysian favourite. For those on the go, it is conveniently packed as a sachet too, so you are able to indulge in the guilt-free BOH CHAM anytime. The latest addition, BOH 3in1 Less Sugar, infused with Stevia Leaf Extract with natural sweetness promises the same rich taste of the 'Original' yet is a healthier option. Stevia Leaf extract is a natural plant extract that is naturally sweet with zero calories and its pure extract is safe for consumption by adults and children. 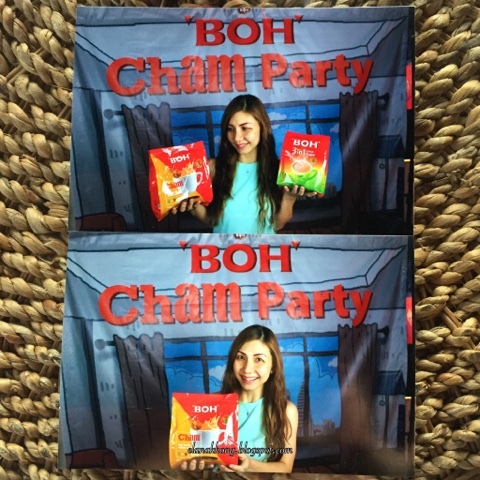 BOH CHAM and BOH 3in1 Less Sugar are priced at RM14.30 for 12 sachets and RM19.90 for 18 sachets respectively. Enjoy your favourite and healthier BOH tea now, less 25% sugar. 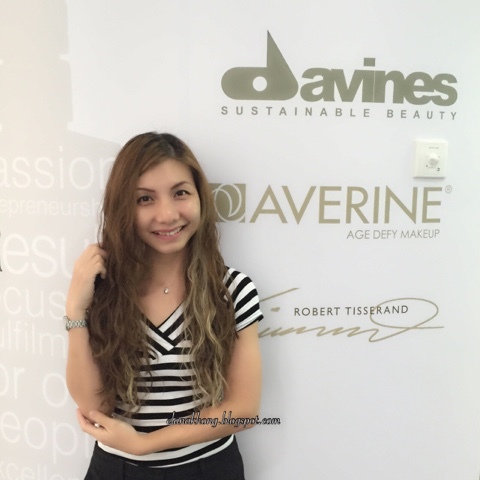 Davines has been around in Malaysia for over 10 years now. Davines laboratories, created a perfect synergy between Nature and Technology, combining the best raw materials with the most advanced science and research for the Naturaltech outcome. 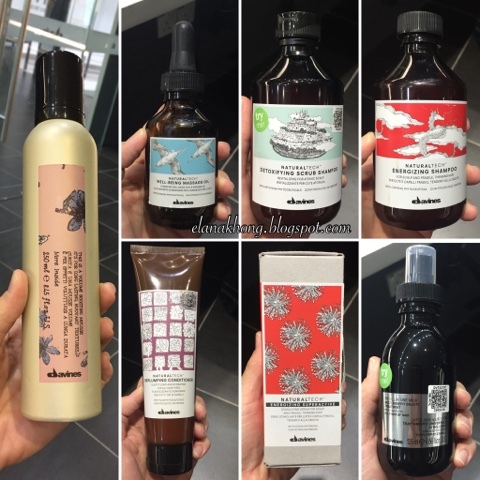 Being natural also means all formulas are free from parabens, while shampoos are also free from sulphates (SLES and SLS) specially designed and formulated to solve the most common problems of the scalp and hair. 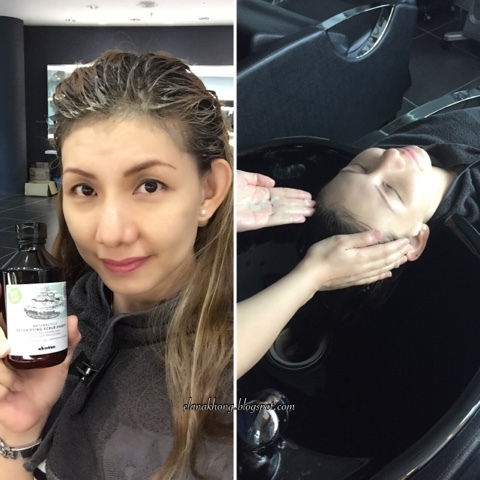 The treatment began with amazing scalp massaging by Jollen using Naturaltech Well-Being Massage Oil which not only smells heavenly, it's hydrate my scalp too. 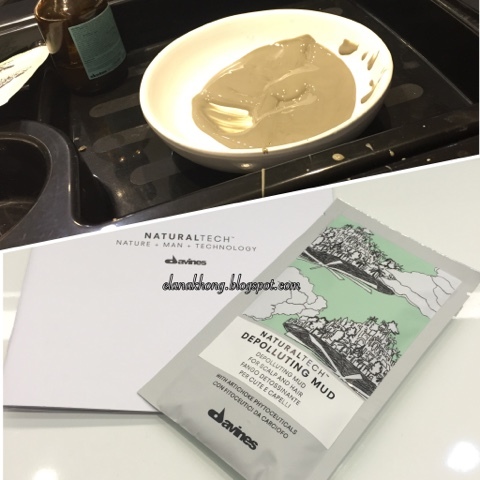 Next, NaturalTech Depolluting Mud mask is leave on my scalp for about 15 minutes. I often pamper my face with mud mask, but mud mask on my scalp is definitely my first time. Ohhh... love the cooling sensation. First, Naturaltech Detoxifying Scrub Shampoo to deep cleanses and revitalizes the scalp and protect against free radicals. Then, Naturaltech Energizing Shampoo a gentle shampoo for fragile scalp and hair that is prone to falling out. With its fragrant essential oils, it gives a pleasant sensation of energy and vitality and gently cleanses the hair and stimulate scalp micro-circulation. Naturaltech Replumping Conditioner is then leaves on for 5 minutes before rinsing off. The replumping treatment is inspired by the 'filler' methodology with Hyaluronic Acid to help restore hair elasticity. After a good towel-dried, Naturaltech Energizing Superactive serum is massaged in my scalp to combat my hair loss problem. Enriched with Black Cohosh extract, a perennial plant that inhibits the enzyme 5-a-reductase which transforms testosterone into dihydrotestosterone. By inhibiting this enzyme, it combats both androgenetic alopecia and the hyper-production of sebum, hopefully my hair will grow healthy and strong. 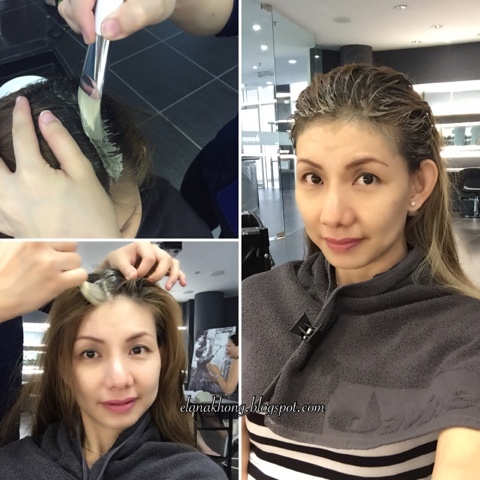 The treatment finished with a good spray of Multi Benefit Beauty Treatment which gives shine, softness and silkiness. It also able to gives body to my curly hair without weighing hair down, moisturizes hair and heat protection to facilitate blow drying for a longer lasting hairstyle. Lastly, Volume Boosting Mousse to set my curly hair. 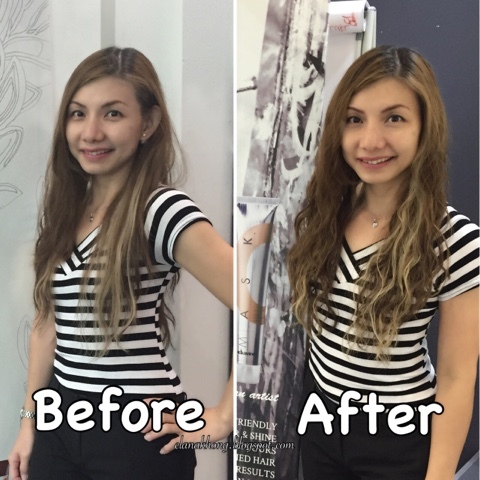 No more frizzy, dry and brittle hair. 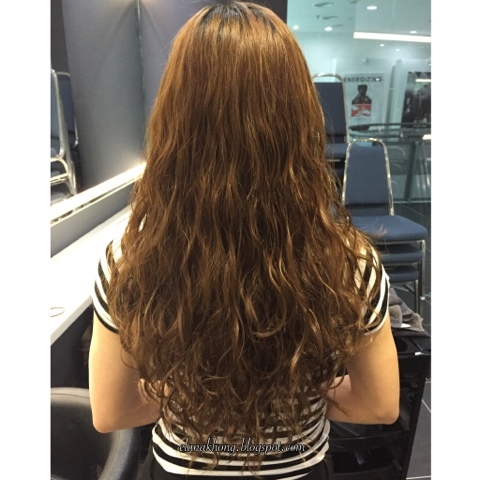 I walk out of the saloon with soft, moisturized, light, bouncy and voluminous hair. Not forgetting, the lovely scent of essential oils. Isn't that one lovely photo? Special thanks to Philippe for the amazing shot using a 50mm portrait lens. Anyway, the pretty scene of the lemon tree with lot's of lemons is made possible by Tiger Radler. 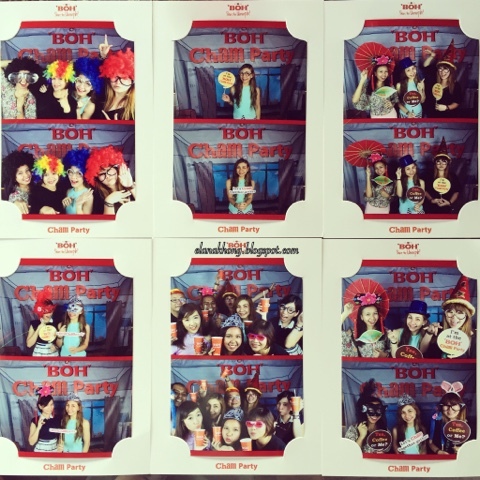 Last weekend, I was invited to join in the fun of a Pop Up Party by Tiger Radler. 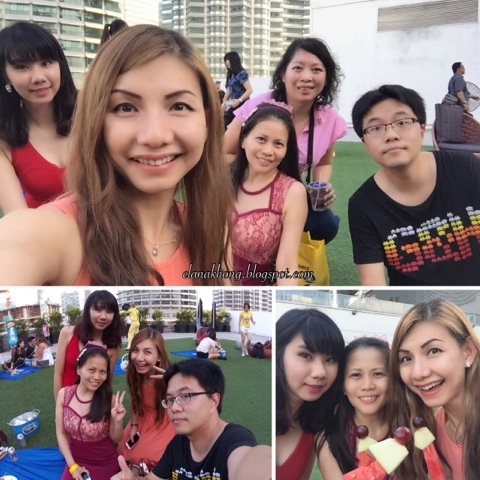 The refreshing 'Picnicarnival' an outdoor party was held at the rooftop of Avenue K inspired by the breeziness of picnics and magic of carnivals. 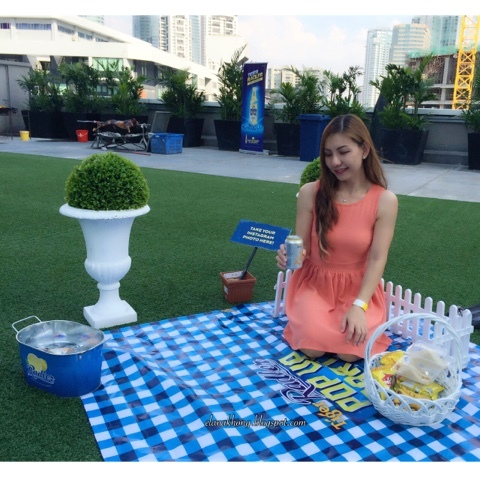 Picnic spots are decorated in various themes such as English countryside, flower power, oriental garden and many more as we enjoyed our picnic basket and refreshing Tiger Radlers. We are astonished by the picnic styled carnival fanfare that came packaged with stilt walkers, jugglers and unicyclists amidst several game stalls. 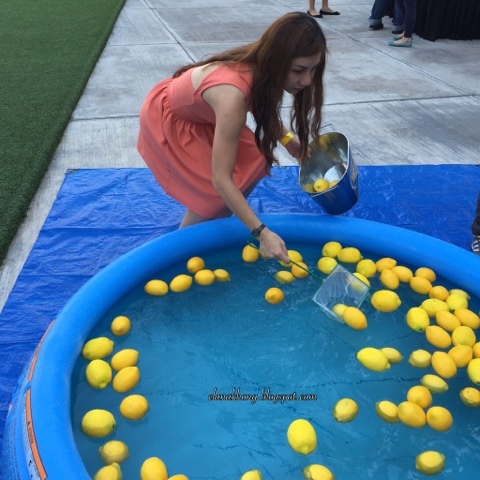 One of the game challenge is to scoop out 10 real lemons in a short period of time given. For each successful challenge, we will be given a token. 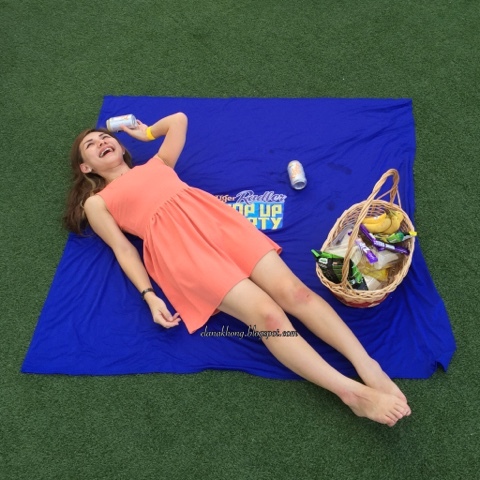 We can redeem for Tiger Radler premiums such as Pop-Up Party stickers, T-shirts, koozies, notebook, huge soft toys, or even Tiger Radler six pack cans using the tokens. Finally, after so many rounds of games, I'm so happy to be able to bring the adorable huge bear home. 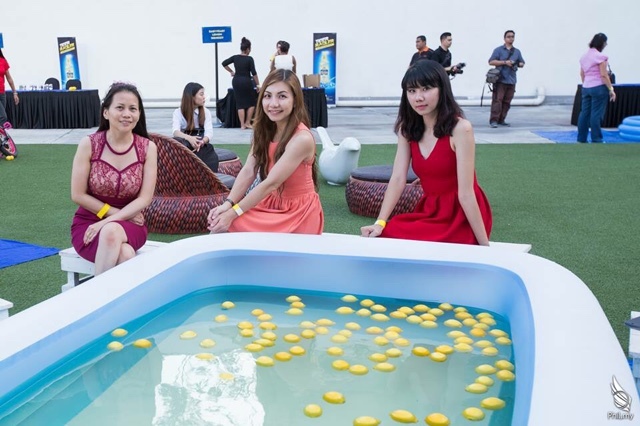 A soaking tub with lemons was also made available so we could kick off our shoes and keep cool while soaked our feet and sipped on refreshing Tiger Radler. 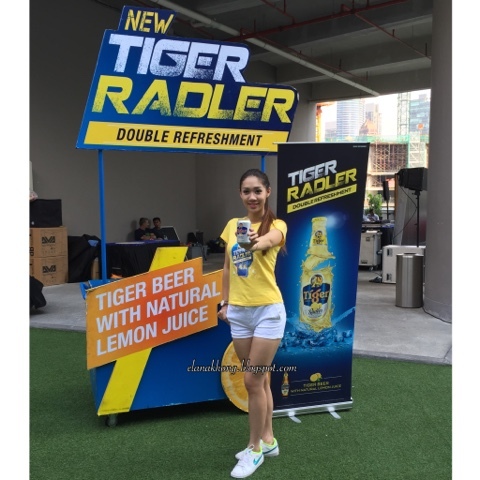 Cheers with Tiger Radler the perfect accompaniment to any occasion. 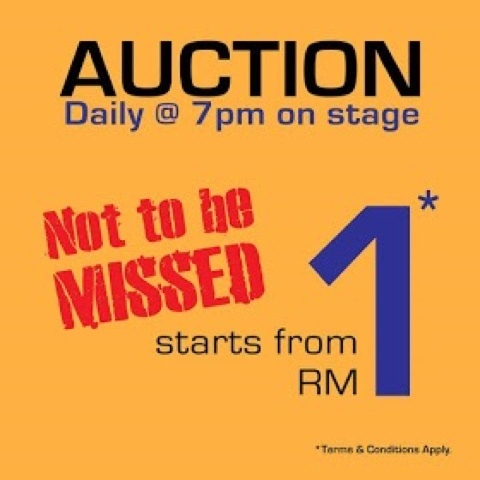 For more information, simply log on to tigerbeer.com.my. Hi, ladies! 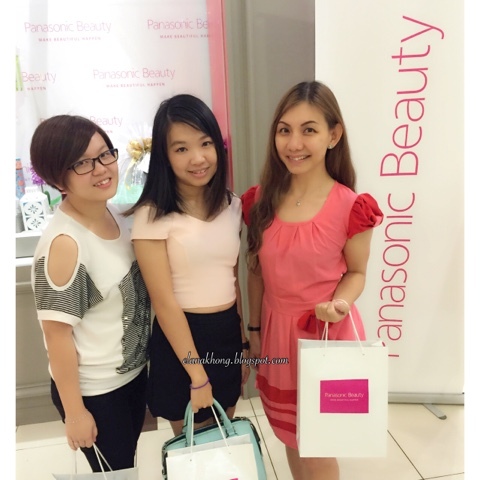 Let's be beautiful with Panasonic Beauty. 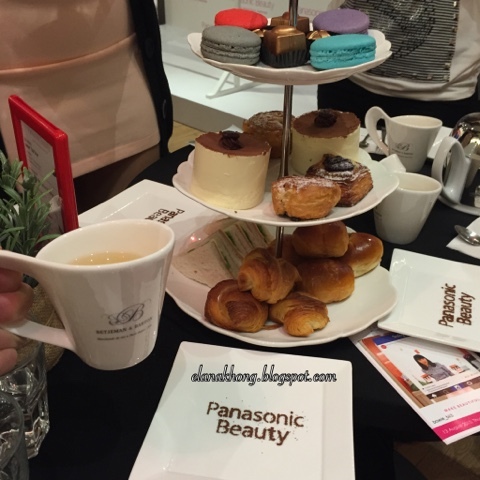 Few weeks ago, Panasonic showcased its latest range of beauty and grooming products by Panasonic Beauty, focusing on Hair Care and Face Care with live demonstrations from the experts. 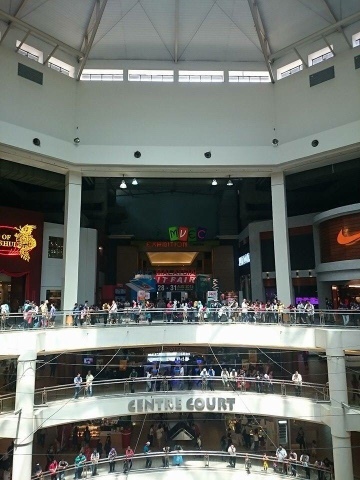 The event held in a cozy and comfortable cafe, Betjeman & Barton in One Utama Shopping Mall. 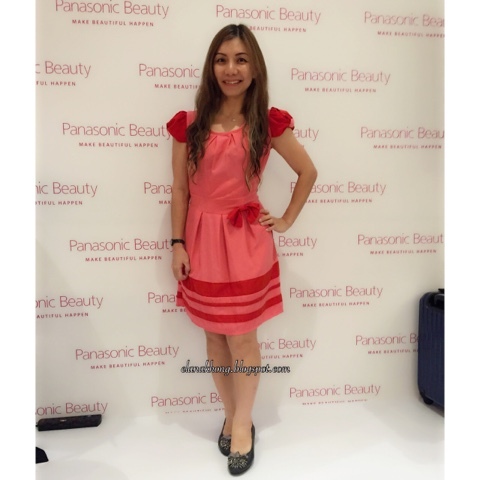 Panasonic Beauty's Theme for 2015 "Make Beautiful Happen" aims to promote beauty in a bigger picture as beauty encompasses every aspects of one's life and not only looks. 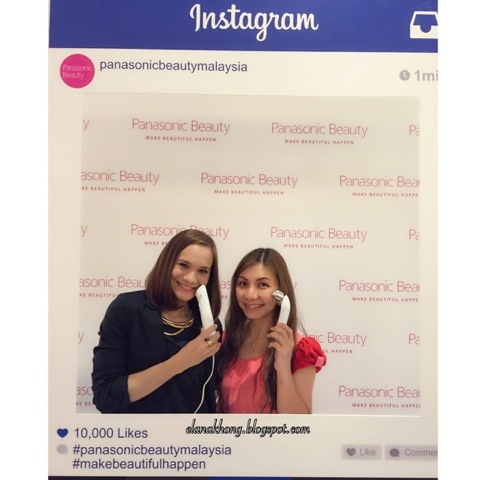 In line with the theme, Panasonic Beauty equip the Malaysian women with knowledge and tips on how to look good. This is the first step towards creating a beautiful environment by spreading the joy of making oneself beautiful. 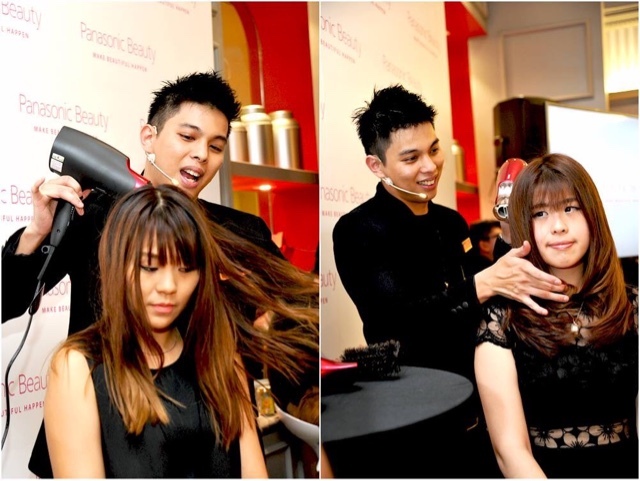 Yves Chong, Style Director from collaborating partner Number 76 Hair Salon demonstrates blow drying using Nanoe Hair Dryer model EH-NA65 (RM423) and EH-NA45P (RM286) to achieve salon smooth and shiny hair style even at home. 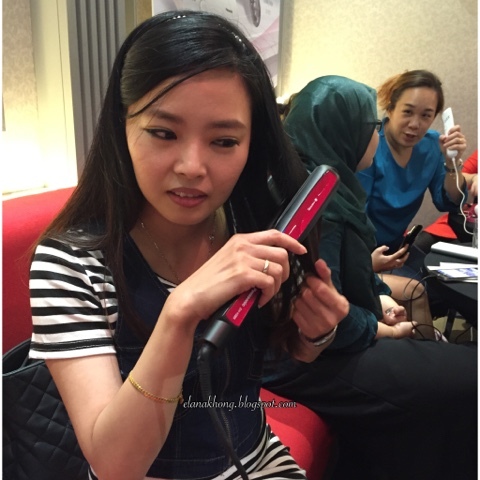 With nano technology, moisture is retained even during blow drying. 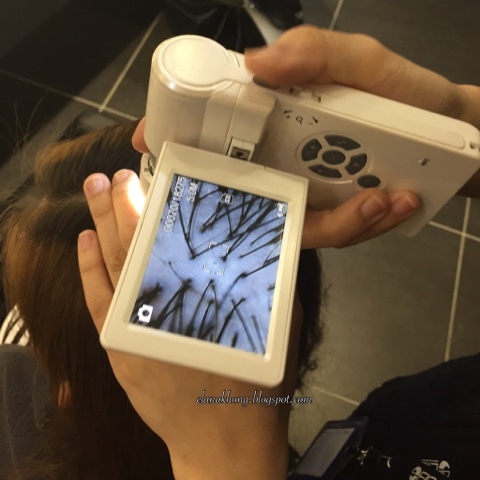 Geozo style her hair using Nanoe Hair Straightener model EH-HS95 (RM412) The straightener has Photo Ceramic Coating to maintain hair moisture & reduces colour fading at the same time. It can also be used for hair curling. Facial Steamer model EH-SA31VP (RM529) produces nano-ionic steam that penetrates into the skin for deep moisture retention. It also can be used for makeup removal. 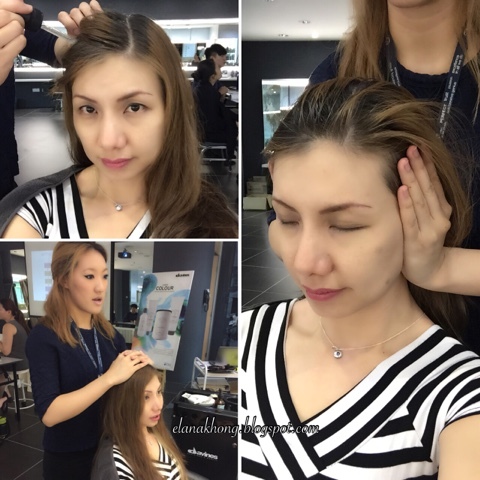 Carol tries out Thermal Esthetic Roller model EH-SP32 (RM469) to achieve a more lifted and firm face. With 2 warm temperature selection, it comes with another roller attachment for the body as well. Now, you could bid farewell to flabby arms and thighs. 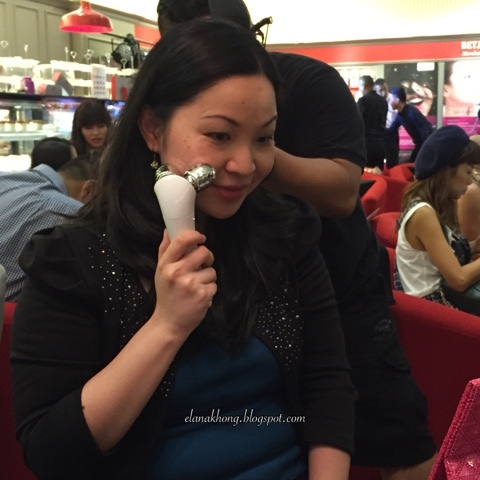 I love the cooling sensation of the Facial Cool Putter model EH-SQ10 (RM319) which aids in tightening of pores. The device will turn cold once turned on and I just need to press it on my face gently. 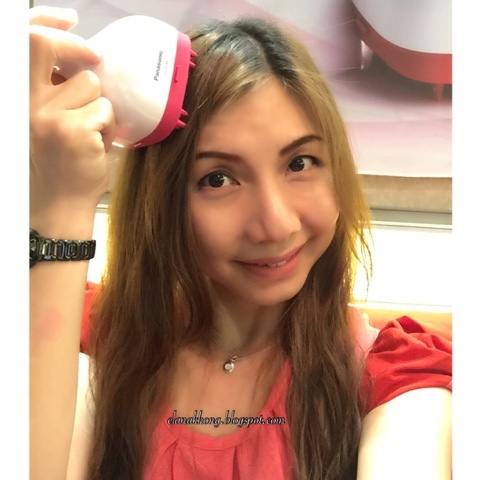 One of Aishah Sinclair favourite product, Eye Warming Massager model EH-SW50 (RM589) help relax her eyes after a long day and improves blood circulation around the eye area. Say goodbye to tired eyes! We are treated to a delightful hi-tea too. 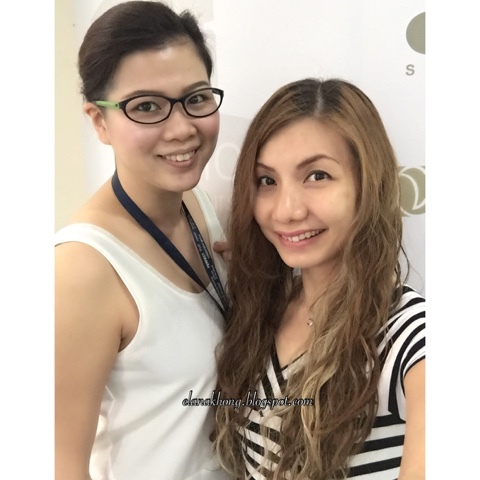 Photo opportunity with the gorgeous Aishah Sinclair. 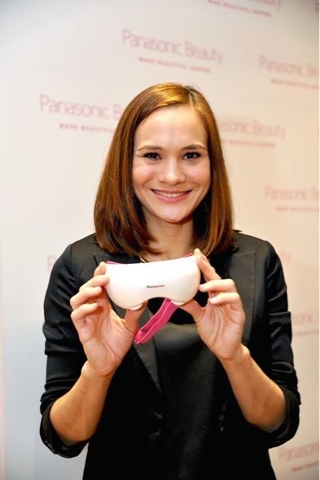 Panasonic will continue to provide the Malaysian women, innovative and practical solutions for their beauty regime. Make Beautiful Happen everyday with the assistance of Panasonic beauty products. Till then, XOXO.